Apply 100 years of manufacturing teachings to your pharmacy’s process. 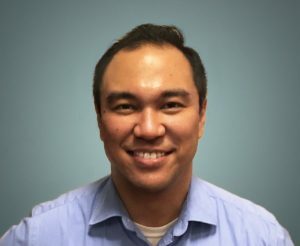 As an industrial engineer on the Parata Consulting team, Brian Cristobal has been behind the counter of more than 200 pharmacies. With experience in diverse pharmacy settings — from independent pharmacies to national chains to the Department of Defense — Brian offers a unique perspective on efficiency in the pharmacy. Before joining the Parata team in 2010, he spent three and a half years as an industrial engineer working to minimize the 8 Wastes in a manufacturing setting. Brian holds a B.S. in Industrial and Systems Engineering from North Carolina State University and a Lean Six Sigma Greenbelt certification with an emphasis in health care. Pharmacists turn to Parata for help maximizing their efficiency, growing their businesses and staying on top of regulatory changes. Our response is Parata Consulting: an extensive, in-house team of experts with the answers you need. We work with pharmacies to optimize their operational performance, maximize the return on investment with Parata technology, validate and target new markets, and navigate regulatory changes. If there’s a project we can help with, contact us.